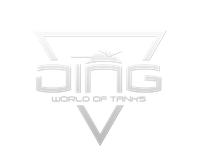 The Wargaming.net League Season I, 2016-2017 concluded with the well-deserved triumph of team DiNG in October. As season two rolls out, in a league revolved around 8 teams, the competition will be more fierce than ever. The stakes for this season are very straightforward, everyone will be fighting for a place in The Grand Finals 2017, that will take place in spring in a, for now, undisclosed location. With their victory in Season I, DiNG has a solid grip on the first slot. They are not guaranteed a place however. And behind them, who is going to take the second spot? Not even a clairvoyant could tell ya! Kazna Kru is always a contender, but the rise of other teams, such as Utopia and Oops, does cast some uncertainty on the outcome of the melee. All signs point to an exciting season ahead! The first matches of the season will be played on Thursday, 12 January! WATCH THE SEASON LIVE ! Matchdays are every week from Thursday to Sunday. The exact time for each match will be communicated weekly. You can check the website of the league for more details about the matchups, the schedules and the team compositions. Team DiNG is the current Champion. Undefeated through the entire Season I, they also went on to win the Challenger Rumble in New York. They have demonstrated an extraordinary consistency and with no big change in the roster for this season, they will aim for a similar run in Season II. Kazna Kru. The team with the longest time at the top. Always in the best places, though only too rarely the last team standing. They still boast one championship and several honourable places at the Grand Finals. This time the throne seems within their range once again. They could claim it. The question is: Will they? The mostly Polish crew of Utopia performed admirably in Season I, finishing 2nd in the regular season, their best position to date. They unfortunately fell short in the offline stage and didn't get the opportunity to dispute the title in the final match. This season, they are confident that they can do even better. There is indeed a lot of potential within the team. Oops - The Tough Giraffes. Two seasons in the Gold Series and already looking like a stronghold in Europe. The next step for them? Win the whole thing. They can undoubtedly do it, and their supporters certainly hope that they will. Team Go Hard enters their second season in the Gold Series with confidence, and why not? The team performed honourably in their first season in the Gold series, avoiding relegation with relative ease. Is their playstyle as their name suggests? Are they tough enough to take down the top dogs? 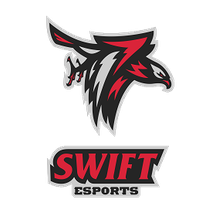 Swift is also getting ready to roll for their second season at the very top. The team is quite experienced, as they performed under the name Synergy in the past. Everyone in the roster is eager to dive in again... And perhaps take away more this time. Gunrunners is an all Czech team that won the pre-season qualifiers. Their place is well deserved and merely the result of their efforts. The hardest is to come for them, but history has proven that being promoted from Silver does not necessarily imply relegation the next season. 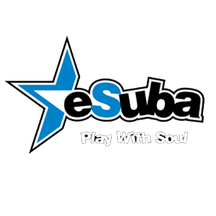 eSuba is a team of Czech and Slovakian players. Coming from the Silver Series, they are specialists in the art of turning the matches around, or securing their victories at the last second. Good news, this is precisely what the fans love. This season, we will get to see how they fare against the best tankers in Europe. To keep up to date with all the latest results, news, and updates, simply hit the follow button on Twitch, like us on Facebook, and follow us on Twitter. The League also has its own website! Get ready for more brilliant moves and nail-biting finishes!